The Diary of Wimpy Kid series of books, by best-selling author Jeff Kinney, charts the highs and lows of our middle school hero, Greg, as he stumbles and fumbles from childhood to teenhood via school-hood. Sometimes helped by his friends and family, often not helped by himself! C... read full description below. 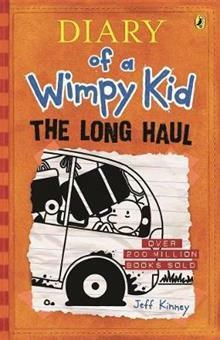 The Diary of Wimpy Kid series of books, by best-selling author Jeff Kinney, charts the highs and lows of our middle school hero, Greg, as he stumbles and fumbles from childhood to teenhood via school-hood. Sometimes helped by his friends and family, often not helped by himself! Can't wait for more details about Book 9? Here's what we can tell you: Greg Heffley and his family hit the road in author-illustrator Jeff Kinney's latest instalment of the phenomenal bestselling Diary of a Wimpy Kid series. Not much to go on? You KNOW it's going to involve Greg being the daft idiot we all love, and his family driving him nuts, and his friend-issues...so buckle-up, it's going to be a side-splitting ride!